As one of the largest cell phone companies in the US, Sprint has developed a reputation over the years as being one of the best, most flexible companies when it comes to phones and network plans. For its customers, Sprint provides some of the best services when it comes to their mobile devices at rates that are reasonable, flexible and affordable, especially after applying a Sprint coupon code. There are certainly a number of reasons to choose Sprint as your carrier. For many, Sprint is really the only choice as it best fits their needs when it comes to their phone and network service. However, as good as these services are, the reputation of the company overall may be the greatest asset that Sprint offers its customers. As one of the four largest US cell phone companies, Sprint brings with it the resources and manpower to offer many different advantages for its customers. In addition, Sprint has gone out of their way to provide advantages, discounts and lower rates in order to bring in even more people to their fold. Data Plan Saving: Arguably, this may be where Sprint shines the brightest in offering a myriad of data plans at very low rates to its customers. This is emphasized by the fact that all of their plans offer unlimited talk and text which is a great feature since you do not have to keep track or make adjustments through the month because you will never “go over” with either. 4G LTE: Offering this advance service in over 300 markets, this allows Sprint users the ultimate in network access for their mobile devices. 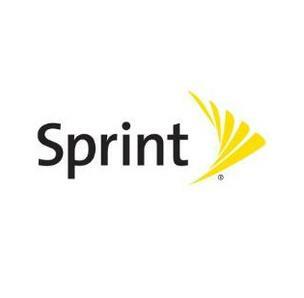 In fact, many people have chosen sprint because of their emphasis on 4G LTE service. Sprint has gone a long way to cultivate and develop their LTE network over the years and today it pays off by offering the best in 4G which allows their customers faster access to the internet. In addition, the expanded network allows for fewer dropped calls and stronger signals that include indoor areas as well. With the LTE coverage expanding on a daily basis, Sprint is currently one of the best in terms of overall coverage for the US. Framily Plan promotion: Combining friends and family, the Sprint Framily plan offers up to 10 people to share the savings without having to share a singular bill. This means that everyone in your “Framily” will get unlimited talk, text and 1GB of data each month for a price as low as $25 per line, depending on your specific needs and number of people in the program. Put simple, if you have only one phone under the Framily plan, you pay $55 per month. However, for each additional member that price goes down by $5 per month until you reach 7 to 10 people in which case the cost is only $25 per month. This is an outstanding way to enjoy savings by combining everyone into a plan that they can easily afford. Device promotion: Another great advantage from Sprint is that it covers virtually every device out on the market today. From iPhones to BlackBerrys to Android phones and more, Sprint’s service covers all the major manufacturers and provides excellent service with each. However, as with any carrier you will want to check to see if your device is covered if it is an unusual or very old one, but chances are Sprint includes that particular device in their list of services. Customer Service: Sprint has poured millions into creating the best customer service it can provide for its customers. As part of the Sprint network, you can contact the customers service department in a variety of ways to have your questions answered, phone service upgraded or pay your bill. Sprint has expanded to social media and offers even more choices for people to get in touch. Excellent customer service is what Sprint is all about when it comes to providing the best for those who sign up. Green Power: Sprint has shown an environmentally conscious side by securing more than 170 million kilowatts per hour of green power for its energy use. Being headquartered in Overland Park, Kansas, Sprint has tapped in to the enormous resource of green energy that is available, making them the choice for millions of people who want to reduce our dependence on fossil fuels and keep the environment safe for us and our children. Mobile Broadband Connection: One of the best plans on the market today, this offering by Sprint allows for 5GB of data transfer for a singular cost of $59.95 per month. For most users, 5GB per month is more than enough for their needs and only those who use their phone extensively should consider upgrading to plans that allow for unlimited data transfer. This means that you can save a considerable amount of money over time by using this particular service. While Sprint does charge an activation fee that may be waived under certain circumstances. Plus, the company does offer special discounts and rates from time to time that you can take advantage of to help meet your needs and fit into your budget. While there is a fee for early termination, it does go down after five months which is a nice change when compared to other carriers. This means that if you are not satisfied with the service after a period of time, you will pay less when terminating it. In addition, the 5GB limitation is enforced by a small charge per MB of data that you go over. While this can add up in a month, the rate that Sprint charges is actually quite low and competitive which means that if you tend to go over from time to time, the additional rate you pay may be the lowest with Sprint over other carriers. Why Use Sprint Coupon codes for your next smartphone? There are a number of reasons why Sprint is one of the best in the US. However, most people choose Sprint because of the great service and rates that they get which meet their needs. The new “Framily” plan is certainly one that offers considerable savings and simple rates that helps Sprint maintain its popularity. On top of that, a valid Sprint promo code can save you over $555 on a brand new device and rate plans. Overall, if you are looking for a carrier that provides excellent 4GB coverage, flexible rates and great service with an eye towards environmental protection, then Sprint is your company. Sprint promo code from Mobile Phone Deals: Are They Worth it? Why You Should Opt For Mobile Phone Deals When Buying A New Phone?